Make it a girls’ weekend in North Texas! The cities of Allen, Frisco, and Plano offer the best of big city shopping, without the big city hustle and bustle. Courtyard by Marriott: (Allen) Just minutes from exceptional shopping at Allen Premium Outlets, Courtyard by Marriott puts you in key position to shop ‘til you drop. Omni Hotels & Resorts: (Frisco) The Omni Frisco Hotel is conveniently located at The Star, home to the corporate headquarters of the Dallas Cowboys. 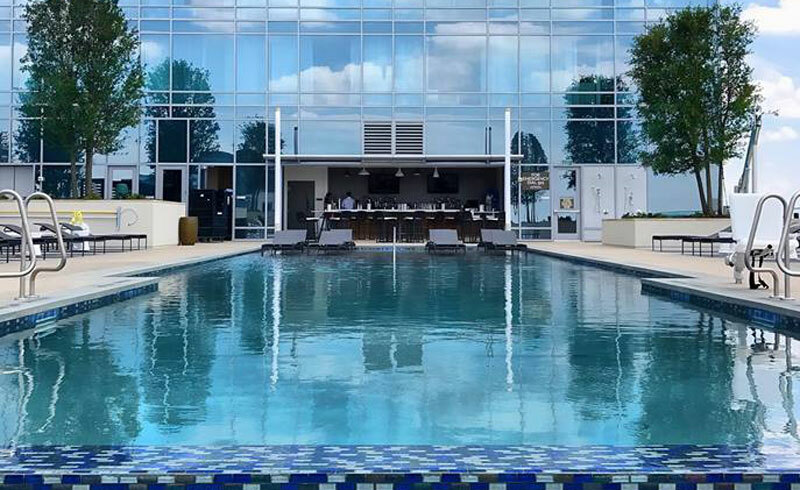 With an elevated pool deck and several top-notch food and beverage experiences, this luxury hotel serves up unexpected amenities and a prime location. Editor’s tip: check out Charlotte Jones’ boutique in the lobby of the Omni. Renaissance at Legacy West: (Plano) Situated just steps away from The Shops at Legacy, the Renaissance at Legacy West is a prime location for fine dining and upscale shopping boutiques. Watters Creek at Montgomery Farm: (Allen) Watters Creek in Allen is loaded with so many stellar restaurants, we couldn’t choose just one. From sushi at Blue Fish to Italian at Brio to Tex-Mex at Mi Cocina, the Watters Creek lineup has the perfect restaurant no matter your mood. 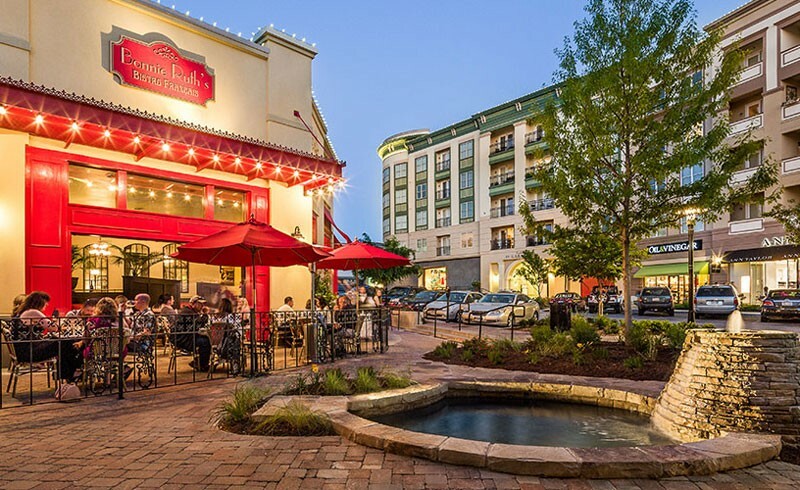 If the weather’s nice, be sure to enjoy your meal on one of the patios—Watters Creek is perfect for enjoying live music on the green during the spring and summer months. Editor’s tip: One of our favorite coffee shops is in Watters Creek, Frogg Coffee Bar and Creperie. Great coffee, great patio, great people watching. Tupelo Honey: (Frisco) Tupelo Honey, located in The Star, is a go-to for southern cuisine with a twist. You’ll find a brunch menu with delicious choices like the Shoo Mercy Sweet Potato Pancakes or come for dinner and enjoy the Honey Dusted Fried Chicken, all served with a side of southern hospitality. Tupelo Honey will have you coming for happy hour and staying for dinner. Sixty Vines: (Plano) If you’re looking to unwind and relax with your gals over a glass of wine, Sixty Vines is the place to go. The mouth-watering menu is made with seasonal, local ingredients and prepared in their open kitchen. Whether you choose the fig & prosciutto pizza or the fettuccine, there is a wine on tap that will perfectly compliment your cuisine. Whether you’re looking to furnish your home or build a new wardrobe, with the shopping in North Texas, you can do it all. Allen: Allen serves up Watters Creek at Montgomery Farm, a lush open-air shopping center dotted with waterfalls and green areas, where you can stroll leisurely from boutique to boutique. Favorites include Anthropologie, Kendra Scott, Vera Bradley, and Charming Charlie. The bargain huntress in you won’t be able to pass up a trip to Allen Premium Outlets, where finds from the likes of Coach, Tory Burch, Polo Ralph Lauren and Michael Kors are marked down by as much as 65% every day. Frisco: With over 9 million square feet of retail, Frisco is a shoppers dream! 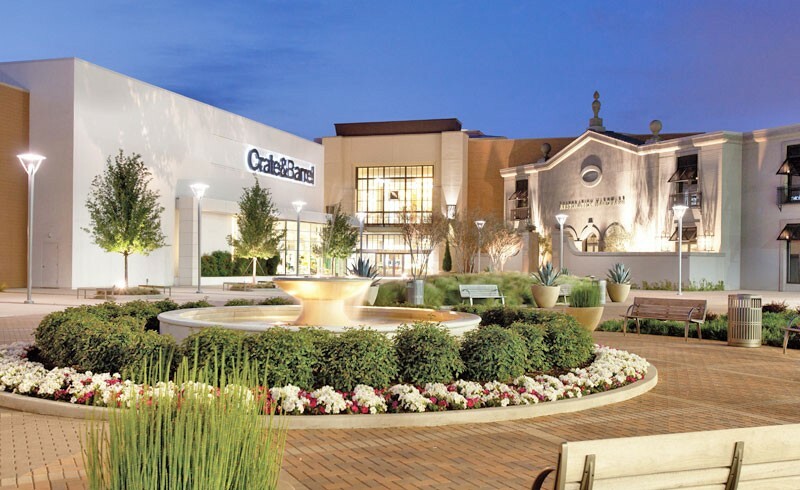 Head over to the Stonebriar Mall where everyone is sure to find something they must have! Boasting the closest Nordstrom to Oklahoma City, as well as Macy’s Personal Shopping Service, Stonebriar Centre will not disappoint. Don’t leave before heading over to The Centre at Preston Ridge for a visit to Nordstrom Rack. If you are looking for some fun jewelry to spice things up, Sam Moon Trading is the answer! Frisco is also home to North Texas’ only location of IKEA, the Swedish home furnishings mega-retailer known for its chic home solutions with wallet-friendly price points. Plano: Craving full-on luxury? Look no further than Plano’s The Shops at Willow Bend, which features the ultimate name in luxury, Neiman Marcus. Crate & Barrel, H&M and Restoration Hardware round out the selection. Don’t miss out on the all new Legacy West for quality stores like, Madewell, Pockets, Fabletics, and Johnny Was. For unique boutiques, check out The Shops at Legacy, featuring more than 30 specialty stores like Julep for designer fashions and Culinary Connection for kitchen and tabletop. If you’ve journeyed to North Texas with your boyfriend, husband, brother or son in tow, there’s plenty to keep him occupied as well. Frisco is home to (and the only city in the U.S.) one team from each of the five major sports leagues, so he can tour the stadiums to get a up close look at where the magic happens. Book ahead to get a tour of the Cowboys practice facility at The Star. Plus, Allen has a Topgolf driving range, Allen Americans ice hockey, Nine Band Brewing Co. and Cabela’s (think of it as Neiman’s for men). And, if you’re staying in Plano, he has to check out the Legacy Hall Breweries. So many options!